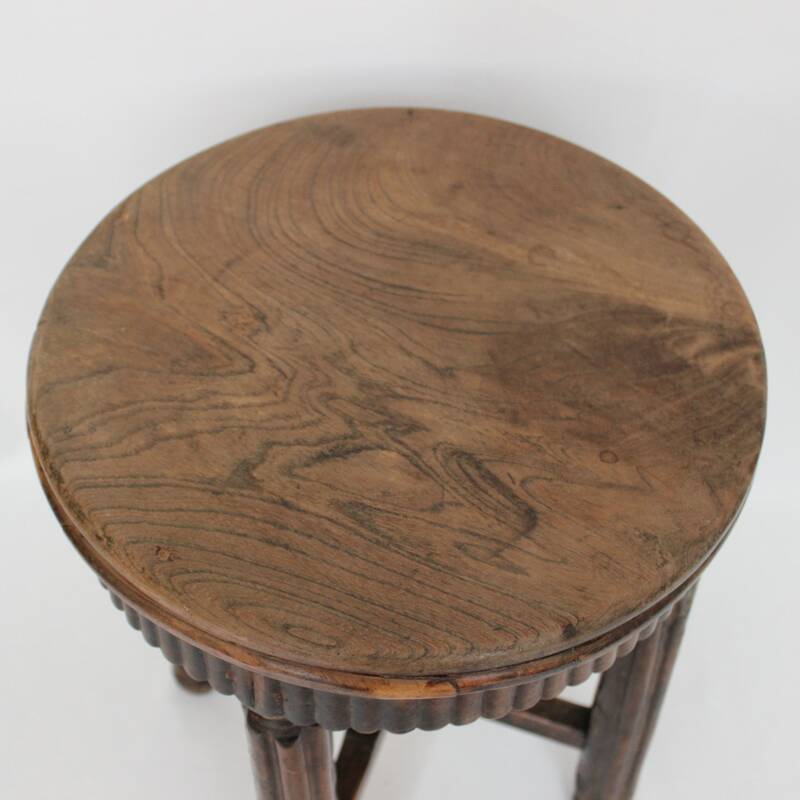 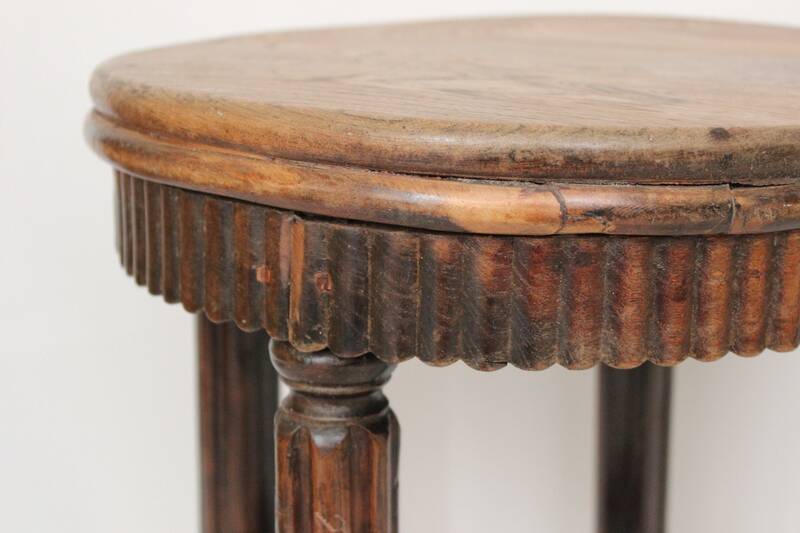 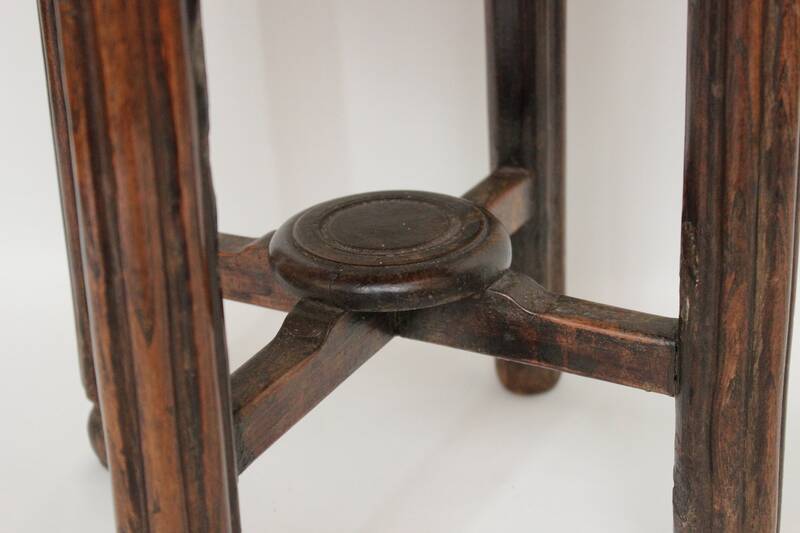 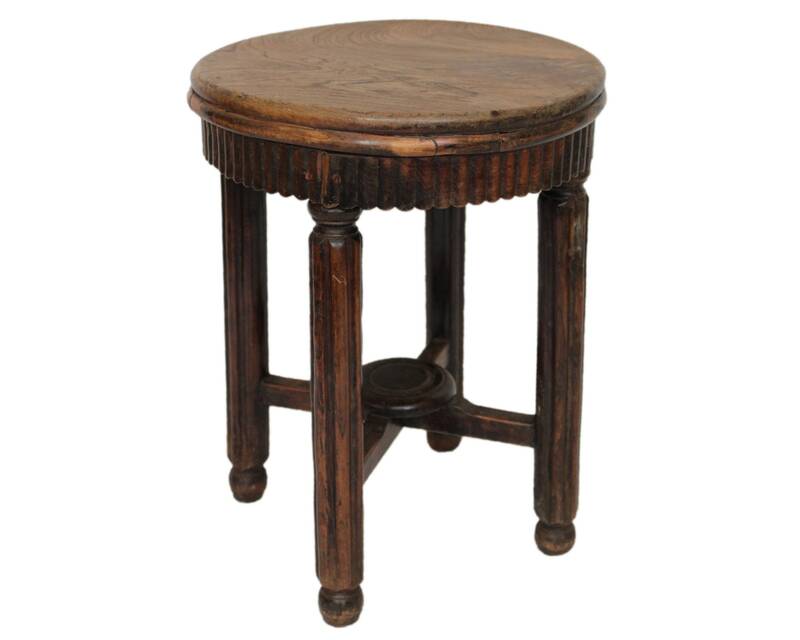 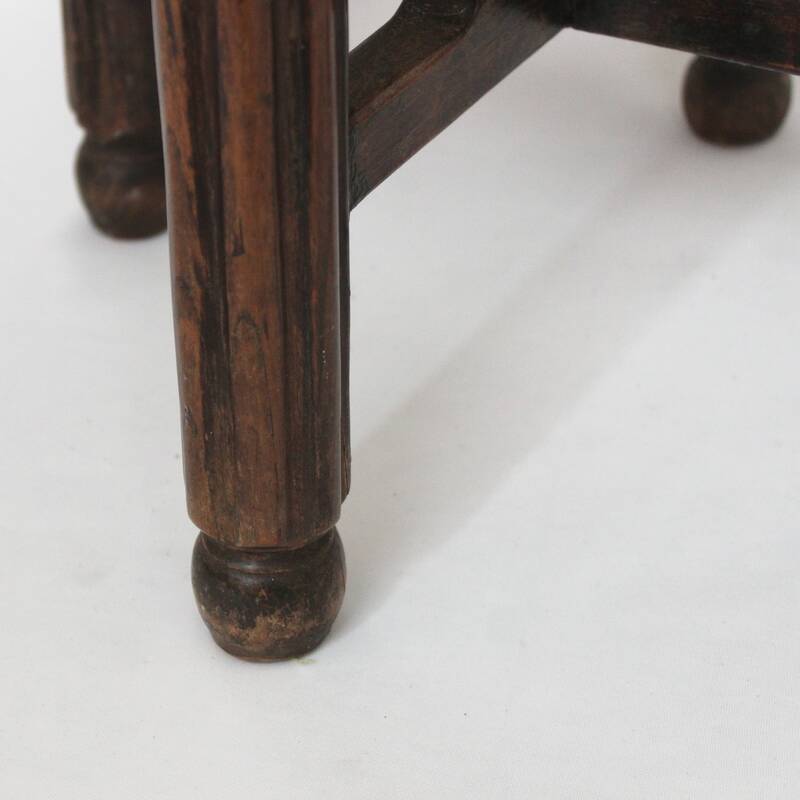 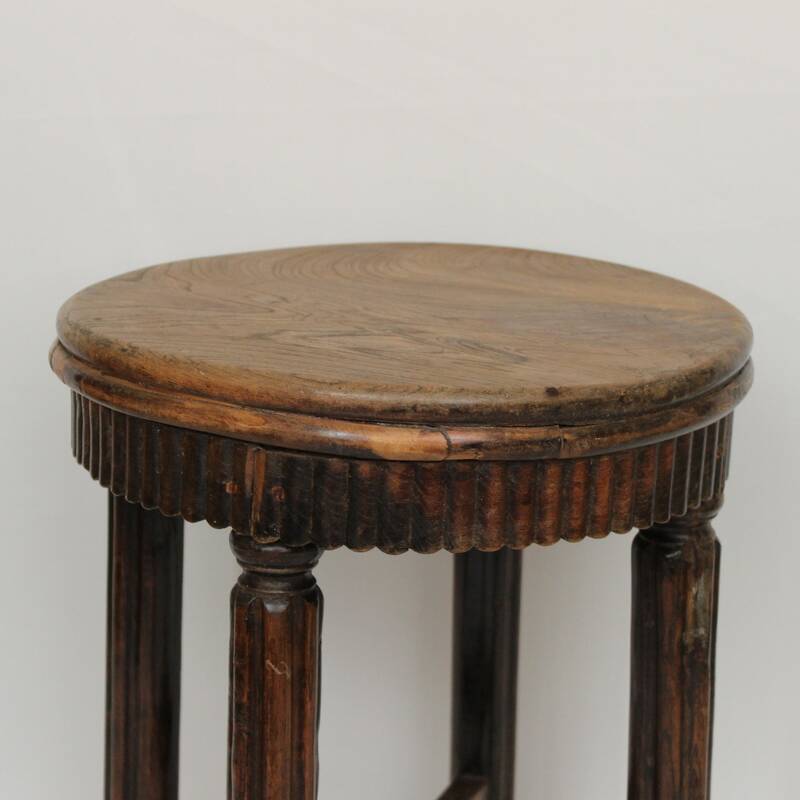 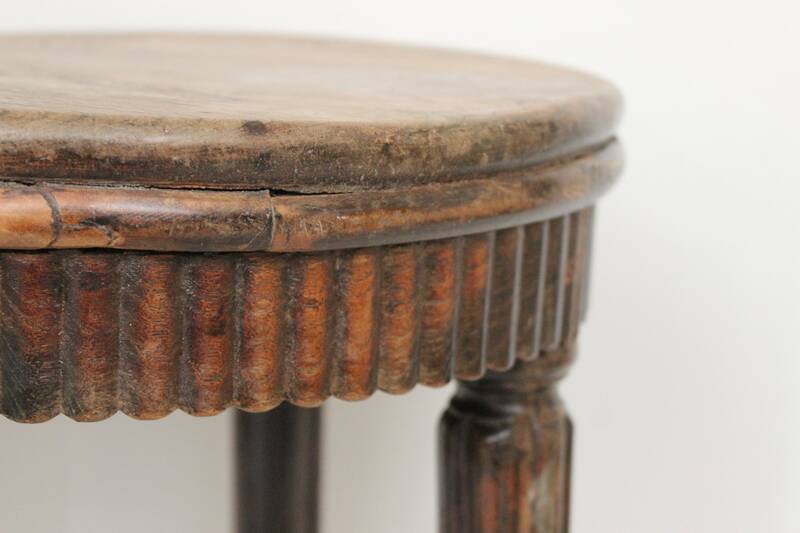 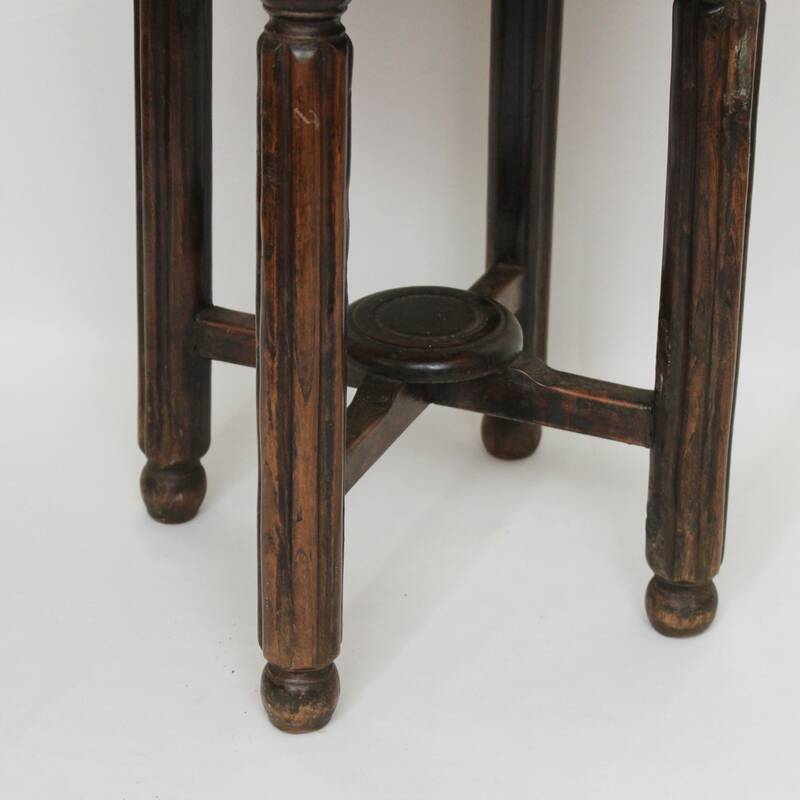 Antique Chinese Wood Tabouret / Side Table with round top, carved legs with stretchers. 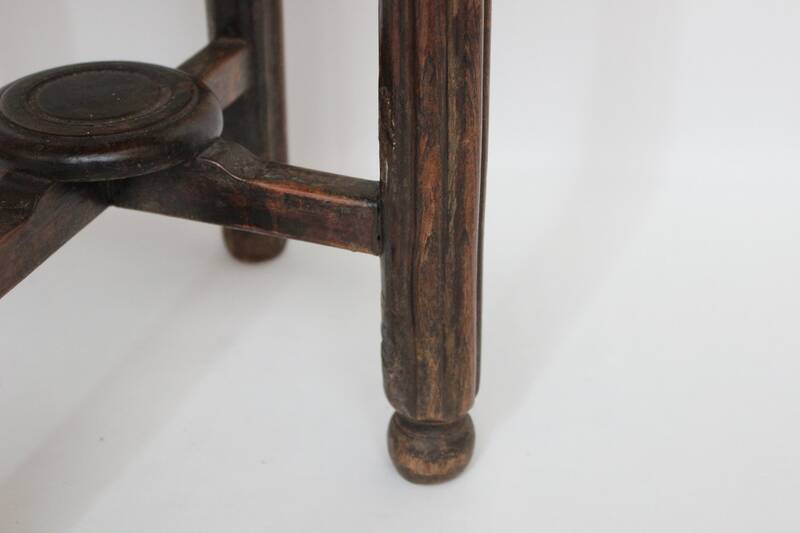 Good vintage condition... 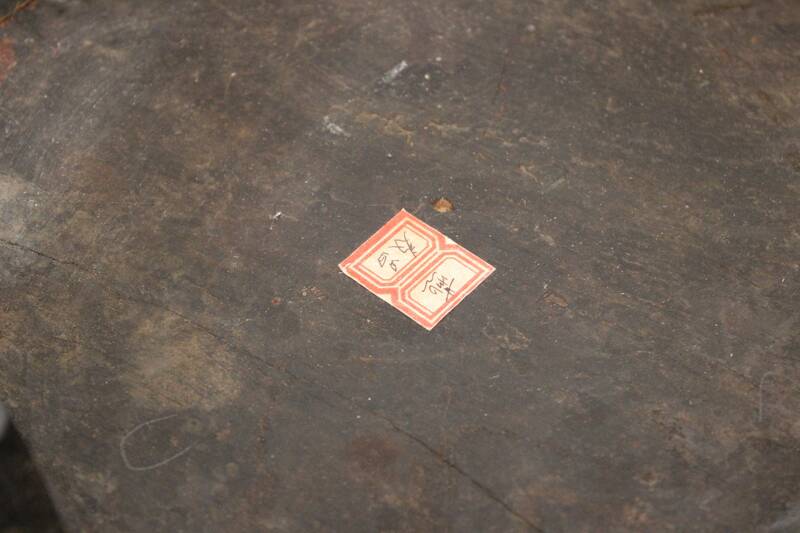 Sticker on its bottom with the name of the maker.